Einstein Equations and Hilbert Action: What is missing on page 8 of the proofs for Hilbert's First Communication on the Foundations of Physics? The history of the publication of the gravitational field equations of general relativity in November 1915 by Einstein and Hilbert is briefly reviewed. 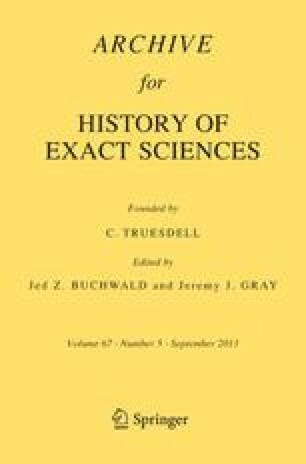 An analysis of the internal structure and logic of Hilbert's theory as expounded in extant proofs and in the published version of his relevant paper is given with respect to the specific question what information would have been found on a missing piece of Hilbert's proofs. The existing texts suggest that the missing piece contained the explicit form of the Riemann curvature scalar in terms of the Ricci tensor as a specification of the axiomatically underdetermined Lagrangian in Hilbert's action integral. An alternative reading that the missing piece of the proofs already may have contained the Einstein tensor, i.e. an explicit calculation of the gravitational part of Hilbert's Lagrangian is argued to be highly implausible.